AvePoint Citizen Services provides your community with a centralized portal to easily submit citizen service requests from anywhere, anytime, on any device. Accurately respond to citizen requests with built-in location services and optimize task allocation from nearby field staff by utilizing integrated geo-location services and mappings from mobile devices. With AvePoint Compliance Guardian, insure information security across Office 365 (Exchange Online, SharePoint Online, OneDrive for Business, and Yammer), SharePoint, Box, file shares, websites, databases, and Skype for Business with all-in-one scanning, reporting, and built-in issues resolution. AvePoint Compliance Guardian provides individualized reports and dashboards surfacing only relevant issues, automatically delegating violations to the right people so they can be addressed quickly. With all-in-one scanning, reporting, and built-in issues resolution, AvePoint Compliance Guardian Online helps you mitigate risk from the moment data is created through its entire lifecycle, proactively monitoring and neutralizing violations of privacy, security, and compliance. Get individualized reports and dashboards surfacing only relevant issues, automatically delegating violations to the right people so they can be addressed quickly. AvePoint CRM Migration Manager simplifies the migration from Salesforce CRM to Dynamics CRM, saving time and effort. AvePoint CRM Migration Manager migrates all CRM data with minimal business disruption, ensuring your organization can support effective enterprise collaboration. The state of your source environment can have a major impact on your Office 365 or SharePoint migration. Ensure your current migration project goals are achievable, and identify potential problems that may cause migration failure with AvePoint Discovery Tool. Generate detailed reports on your current SharePoint or SharePoint Online customizations as well as understand your current workflows, content, and information architecture to assess the feasibility of your migration goals and optimize your plan. With AvePoint Information Management, take advantage of smarter, connected systems, and the power of innovative solutions to modernize operations and infrastructure. AvePoint provides integrated solutions for the modern workforce that transform antiquated, inadequate systems with modern technologies solutions like mobile, social, Big Data and cloud. Don't let your collaborative efforts become ineffective and inefficient. Use AvePoint Meetings Pro to bring order and productivity to your meetings while maintaining accountability. Cut the clutter from your workflows by surfacing existing SharePoint information in simplified user interfaces on your computer or your mobile device. Make better, more actionable decisions by empowering users to efficiently document, audit, collect, and analyze business information. AvePoint Office Connect effortlessly merges content from Microsoft Outlook, Microsoft Office, and Windows File Explorer into SharePoint and Office 365. With seamless integration and unparalleled ease of use, content, emails, and attachments can be added to SharePoint or SharePoint Online with a single click. No more jumping between multiple applications. Enhance productivity with seamless sharing. Don’t get buried in support tickets, don’t spend weekends restoring Team Sites, and don’t spend hours on the phone with support. Powered by Microsoft Azure, AvePoint Online Services is the industry’s only solution that provides Office 365 Backup, Management, Governance, Reporting, and Archiving from a single Software-as-a-Service platform. Over 5 million Office 365 users worldwide trust AvePoint Online Services. Focus on what matters. AvePoint will protect your business critical Mail, Files, Conversations, Groups, Teams, and Sites with automated backups and granular, item-level restoration capabilities. Relax while they keep a watchful eye over your permission settings and configurations. And Empower your users to adopt Office 365. AvePoint will keep your tickets down with self-service reporting and responsible provisioning of Office 365 Groups, Sites, and more. Create PDFs in SharePoint with the click of a button. AvePoint PDF Aggregator makes it easy to create PDFs directly from within SharePoint libraries. Merge multiple files into a single PDF, or create multiple PDFs in batch. AvePoint Perimeter extends the collaboration power of on-premises SharePoint beyond the walls of your organization, increasing user productivity by allowing them to work with anyone from a single content repository. Best of all, you maintain security over the content with robust administrator options. Sharing documents is a fundamental part of collaboration, but when it comes to sharing files with partners and vendors outside of the organization, it’s too easy to lose control over document rights once it leaves your walls. AvePoint Perimeter Online provides external sharing with added authentication, access control, and detailed auditing. AvePoint Pipeline: Easy forecasting. Accurate reporting. Dynamics CRM simplified. View and manage CRM opportunities on the go through Pipeline’s graphical end user application. Enhance management insight and reporting with dynamic forecasting and opportunity summary charts. AvePoint Privacy Impact Assessment System is a technology solution that mitigates the risk inherent with manual privacy impact assessments, helping organizations understand and automate the process of evaluating, assessing, and reporting on the privacy implications of their enterprise IT systems. The AvePoint Productivity Suite for Dynamics CRM improves user productivity and customer interactions while growing the total value of your opportunities. The suite includes telephone integration for activity logging, search across all entities, record recovery, and the ability to add tags to all entity records. Requesting time off shouldn’t be a job in itself. AvePoint PTO Manager makes it easy for anyone to request, track, approve, and manage leave requests and paid time off (PTO) in Office 365. No confusing processes, no hoops to jump through. Get real-time tracking of requests and accrued hours, automated email alerts, accurate record keeping of previous requests, and more – all in one simple, scalable application. How do your IT systems stand up to the latest privacy regulations? 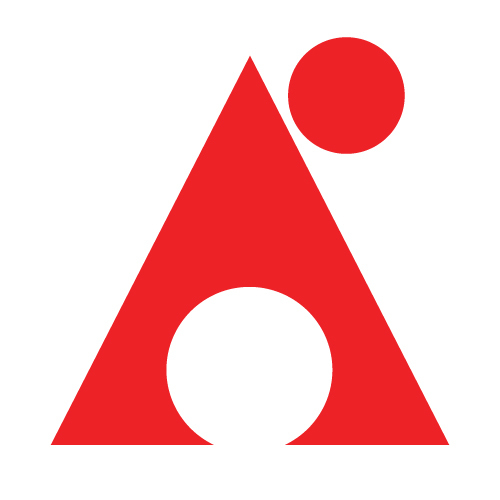 With AvePoint Risk Intelligence System (AvePoint RiskIntel), organizations can implement an inventory and risk register for data flows across the organization, automate privacy and security by design and by default, automate risk and data protection impact assessments by implementing a systematic approach to evaluating, reporting, and analyzing data privacy policies and processes hosted in an enterprise-ready software solution. AvePoint RiskIntel helps customers meet key requirements for global privacy legislation, including the GDPR as well as ISO 27001 and 27002. Take the first steps toward minimizing risk and exposure around data collection, management, protection, and employee education. AvePoint Secure Publisher makes it easy to protect your documents in four important ways. 1. Prevent unauthorized edits by creating PDFs from one or more files directly within SharePoint Online Libraries 2. Deter document leaks by applying watermarks that identify the original document recipient by username, IP address, etc. 3. Safely share documents through a secure container app part instead of giving them direct access to your document libraries. Documents accessed through the secure container are automatically converted to watermarked PDFs, protecting content against unauthorized edits and screenshots. 4. Audit document access to deter malicious behavior and identify responsible parties if a security breach were to occur. PDFs can be created from a wide range of file types, including Microsoft Office files, HTML/XML-based files, as well as images. AvePoint Timeline: One app. Less clicking. More productivity. Elegant Interface. Improved Productivity. From new prospects to closed opportunities, all your Dynamics CRM account activity, on demand. Easily view and interpret data of any account, lead, contact, campaign, case, or opportunity. Share documents without compromising security. By automatically converting SharePoint Online documents into watermarked PDFs and displaying them in the secure container, AvePoint Watermark ensures your organization's content is protected against unauthorized edits and screenshots. Deter malicious activity and unlicensed distribution of content with robust security options – username, IP address, date, and time watermark stamping as well as auditing – and also identify responsible users if a security breach were to occur. Every day, SharePoint administrators face the overbearing and time-consuming task of manually searching for and repairing out-of-policy changes made by end users. DocAve Administrator cuts the job of SharePoint management in half by streamlining and automating everyday SharePoint administrative tasks – such as managing SharePoint permissions, maintaining site infrastructure, and enforcing SharePoint governance policies. Whether you’re on-premises, Office 365-hosted, or in a hybrid environment, easily change settings, configurations, and permissions in bulk at any SharePoint object level. And with intuitive SharePoint permissions and search, as well as 24/7 automated monitoring of SharePoint governance policy enforcement, you can stop problems before they happen. DocAve Archiver is a tool for records management. DocAve Archiver enables enterprises seeking to automate records and content lifecycle management for SharePoint Server and SharePoint Online. Define records and retention periods by custom properties or inactivity, and store immutable copies in place or in third-party records storage systems with strict permissions control. Automatically delete end-of-life data to minimize exposure to unnecessary risk. For SharePoint backup, DocAve Backup and Restore provides full-fidelity backup and recovery – from individual content items to entire SharePoint environments and all of their farm-level components – maintaining all metadata, security settings, and version histories. Featuring a highly intuitive user interface, enterprise-strength scalability, and deep integration with leading hardware providers, DocAve Backup and Restore offers simple and truly comprehensive protection for SharePoint backup whether on premises, in Office 365, or a hybrid deployment. Data loss unfortunately happens – and more often than not, by user error. Natively, Salesforce offers a very limited backup and restore option that is expensive and tedious. At a fraction of the cost of other solutions, DocAve Backup for Salesforce provides a combination of automatic daily backups, on-demand backups, and comprehensive restore capabilities to keep your business moving forward. 100% cloud-hosted. No installation. No configuration. Start protecting your irreplaceable Salesforce data today! Without the risks and complexities of content replication or duplication, DocAve Cloud Connect combines the benefits of cloud computing with your existing on-premises infrastructure, improves collaboration for your employees, and extends the capabilities of each platform. With true integration, DocAve Cloud Connect allows your users to work the way they work best, embracing Box’s mobile and secure sharing platform, with the strong Enterprise Content Management (ECM) functionalities of SharePoint. Share file shares and cloud storage resources safely and easily with DocAve Connector. Through SharePoint integration, access all content without ever having to migrate content. Content connected using DocAve– including documents and audio and video files – is made completely transparent to SharePoint through existing or customizable libraries. Manage connected content with all of SharePoint's powerful document management functionality, including permissions management, workflows, alerts, and versioning. Simplify the process of moving and migrating content within or across Microsoft SharePoint Server and Office 365 – SharePoint Online with DocAve Content Manager. Comprehensively move, copy, and restructure SharePoint content within or across environments hosted on premises, in the cloud, or hybrid with minimal interruption to business processes. Minimize human error and cost overruns when moving from pre-production to production with DocAve Deployment Manager. Better facilitate pre-production operations, as well as automate deployment of SharePoint artifacts, design elements, solutions, apps, and WFE configurations to accelerate service delivery. Effectively manage and automate additions and changes in your deployment from start to finish with DocAve Deployment Manager. DocAve eDiscovery utilizes SharePoint Search Index data to scan and archive content, subsequently identifying responsive materials by both full context search and metadata field(s). Content residing in SharePoint or SharePoint Online must be made available in a timely and comprehensive manner for legal inquiries, without burdening staff and resources. Once identified, these materials – along with all associated metadata and audit histories – are exported to multiple file formats for external, third-party review in order to meet all eDiscovery obligations. DocAve File Share Navigator removes the barriers to seamless global collaboration by exposing large files, rich media, and a variety other file share content in SharePoint Server 2016, SharePoint Server 2013, and SharePoint Server 2010 without migration. Enhance enterprise-wide content management and breathe new life into shared drives – regardless of whether they reside locally or in public cloud offerings like Microsoft Azure or Dropbox. Allow users to preview and download file-based content directly through SharePoint without degrading SharePoint performance. With DocAve Governance Automation, implement an extensible SharePoint governance strategy that empowers users, is easy to maintain, and scales as your organization grows. By giving business owners oversight into provisioning, as well as content and permissions management, your information architecture is developed according to how your business works. Governance Automation gives your users easy access to IT resources while ensuring governance policies are met across your on-premises, hybrid, or cloud-hosted SharePoint deployments. With DocAve High Availability, provide your business with a critical, 24/7 fault tolerance solution for your SharePoint environment. Enable centralized control of all of your SharePoint environments from a single interface, offering a one-switch disaster recovery orchestrator so you get instant access to a complete, standby SharePoint environment. With speeds up to ten times (10x) faster than previous methods, DocAve High Speed Migration for Office 365 allows you to say goodbye to all Office 365 migration roadblocks and say hello to the Microsoft Cloud! Using traditional methods and approaches, migrating large quantities of data to Office 365 is a complex undertaking that was not only resource intensive and risky, but could also be extremely slow due to bandwidth throttling and network latency constraints. Let DocAve High Speed Migration transform your Office 365 experience. DocAve Migrators for SharePoint support all stages of your migration projects – providing you with assessment, planning, and reporting capabilities – to efficiently migrate from your legacy collaboration system to the latest versions of SharePoint or Office 365 – SharePoint Online and OneDrive for Business with minimal business disruption. DocAve Policy Enforcer allows you to respond immediately to unauthorized modifications of SharePoint environments – whether hosted on premises, in Office 365, or in a hybrid environment. By continuously monitoring and proactively reacting to your environment, Policy Enforcer helps ensure all actions by your end users fall within your defined compliance policies. Empower your organization with Policy Enforcer. Centralize and automate control over permissions, configurations, and security settings for more efficient SharePoint administration. As SharePoint environments expand to support more complex global collaboration initiatives, organizations must find solutions to support a seamless SharePoint service. DocAve Replicator for SharePoint enables administrators to replicate SharePoint content, configurations, and security within a single SharePoint environment or across multiple SharePoint environments – whether in SharePoint Server, Office 365, or hybrid environments. With event-driven and configurable one-way, two-way, or one-to-many online or offline replication options, organizations can provide global SharePoint users with optimal content availability. A powerful and flexible SharePoint reporting intelligence toolkit, DocAve Report Center provides single-pane access to a wide variety of mission-critical analytics, ensuring all components within SharePoint on-premises and SharePoint Online are protected. Administrators gain a complete understanding of SharePoint topology, usage, and performance trends, while surfacing content and user-centric reports for business owners. DocAve’s configurable alerts and notifications based on customizable threshold triggers enable proactive, intelligent management decisions with DocAve Report Center for SharePoint reporting. DocAve Software, the enterprise-class infrastructure management platform for Microsoft SharePoint, helps organizations use SharePoint in a more sustainable, secure , and productive way. As a fully integrated platform, DocAve enables centralized or delegated migration, management, and protection of SharePoint environments hosted on premises, or in private and public clouds such as Microsoft Office 365 and Microsoft Azure. DocAve SQL Server Data Manager delivers full fidelity, item-level restoration capabilities directly from SQL Server backups or a live database that resides in the content of your SharePoint, ensuring fast and efficient SharePoint recovery. This component complements DocAve Backup and Restore, which delivers the comprehensive item-through-platform-level protection for SharePoint that businesses demand. With DocAve Storage Manager, effectively mitigate content sprawl by easily implementing and enforcing BLOB externalization strategies throughout SharePoint’s lifecycle. Unstructured data (or BLOBs), can potentially consume up to 95 percent of SQL Server storage. As your SharePoint on-premises or SharePoint Online deployments grow, BLOBs can increase exponentially, causing decreased database performance, slower search results, and increased storage costs. DocAve Virtual Machine (VM) Backup and Restore provides flexible backup and recovery for the virtual disks and configuration files of EMC® VMware or Microsoft® Hyper-V VMs to protect your entire virtualization platform. With seamless integration with DocAve Backup and Restore for SharePoint, DocAve VM Backup and Restore enhances your SharePoint backup and recovery plans by ensuring SharePoint server virtual environments are all securely protected. With Office 365 Archiving, you can intelligently apply lifecycle management policies by archiving and removing dormant Office 365 files, sites, conversations, and more based on fully customizable business rules and filters. Flexible retention plans allow your organization to easily meet industry regulations by automatically moving content out of Office 365 and into a secure location of your choice for future retention, recovery, or responsible and secure disposal. With the freedom to choose where your data is stored, how much you recover, and when, AvePoint's Office 365 Backup offers an unmatched solution for Office 365 backup and recovery. Protect your business critical Mail, Files, Conversations, Groups, Teams, and Sites with automated backups and granular, item-level restoration capabilities. By surfacing large files, rich media, and a variety of other file share content as list items in SharePoint Online without migration, AvePoint File Share Navigator Online removes the barriers to seamless global collaboration. Enhance enterprise-wide content management and breathe new life into shared drives. Help administrators consolidate file share access into SharePoint Online and provide access to file share content for local or remote end-user access. Office 365 Governance helps you implement an extensible governance strategy that empowers users, is easy to maintain, and scales as your organization grows with Office 365. By giving business owners oversight into provisioning as well as content and permissions management of Office 365 Groups and SharePoint Online, your information architecture is developed according to how your business works. Office 365 Cloud Management is a complete toolkit for Office 365 Management and Administration, allowing you to manage, move, and maintain your business critical Office 365 content. AvePoint's Office 365 Cloud Management simplifies Office 365 management and administration for SharePoint Online, OneDrive for Business, and Office 365 Groups. Tap into the wealth of user activity, content, and storage data collected by the Office Graph with Office 365 Reporting with AvePoint Cloud Insights. By rendering easy to use dashboards with Microsoft Power BI, AvePoint Cloud Insights provides Office 365 Administrators and Content Owners with the intelligence they need to make more informed resource allocation and data management decisions. Produce Office 365 reports that surface trends in user activity and content to understand which departments are using SharePoint Online most, and how. Report on sites and site collections to determine who your top content authors are, who is using your content, and how often people are visiting your sites.